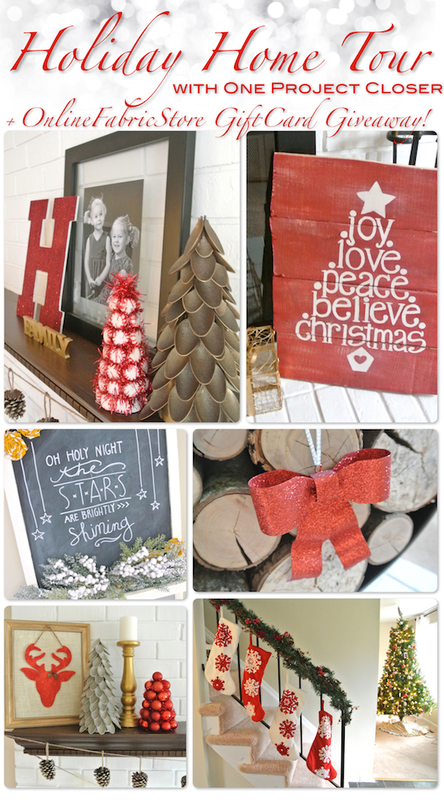 Holiday Home Tour 2014 & Giveaway! By now, every blogger in the blogosphere has already shared their holiday home tour, some before Thanksgiving. But I was committed to not decorating until after our Thanksgiving company left. Or maybe I’m just a procrastinator. Either way, it worked out, because I’ve joined up with 15 other fabulous (and procrastinating) bloggers to give you our Holiday Home Tour 2014. 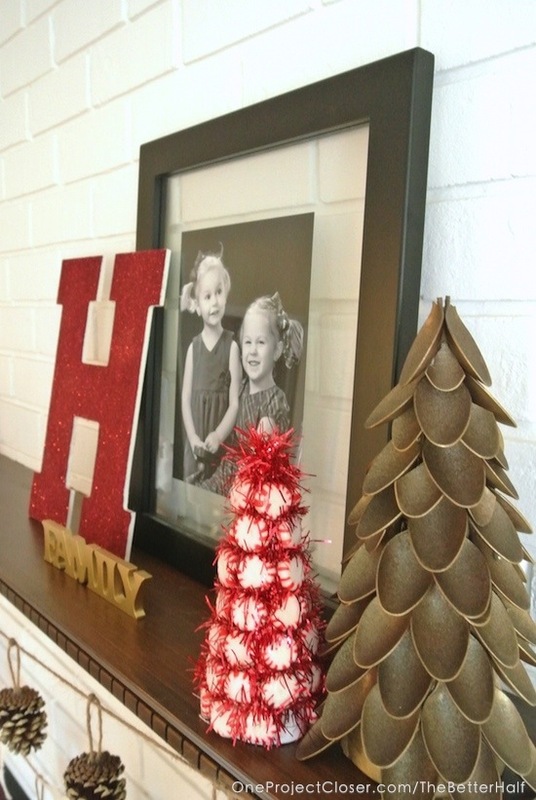 And if you haven’t decorated yet, then here is the inspiration you might be needing! Be sure to read to the end too, for a fabulous giveaway! Most of my decorations are from last year, but even Ethan thought most were new, since everything looks so different in our new house. It was fun re-arranging and finding new places for all the decor. My favorite spot in the house is my fireplace, with the beautiful white brick. It is also home to my Christmas Pallet, Plastic Spoon Christmas Trees, DIY Christmas Bunting, Reindeer Art. I decided to put the stocking on our railing this year instead of the mantel, and so far, I’m loving it! And if you follow us on FB and Instagram (@jocieopc), you know that we got a new LED tree this year and its is awesome!! Plus the girls love that it can change from white to colored lights. 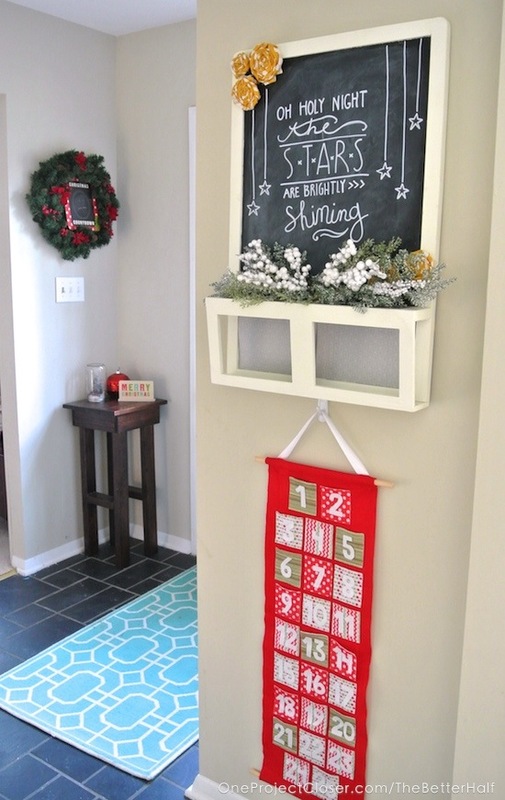 In our entry way, I did some fun Christmas art on my Ikea Hack Chalkboard, and put our Felt Advent Calendar underneath. Also, in the world of kids decor, Izzie and Lucy had a blast decorating my new Say Anything Thought Bubble Chalkboard Vinyl from Wallterntives on our fridge, along with our Dollar Store Magnetic Nativity. In our living room, I have my mini Christmas tree that I kept in my room as a little girl, along with a few of my favorite pix. 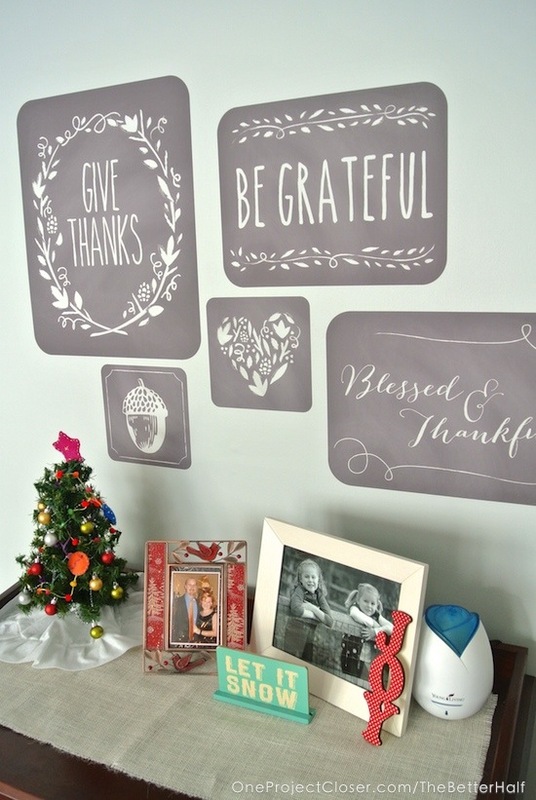 I love it all against my Wallternatives Fall Phrases Decal Set (I know Fall is over, but I love it so much, I couldn’t take it down!). And of course, I’m diffusing some Christmas Spirit Young Living Essential Oil Blend – it smells just like Christmas! And just, one final shot of my favorite Spoon Tree and sweet girls! Need even more inspiration? 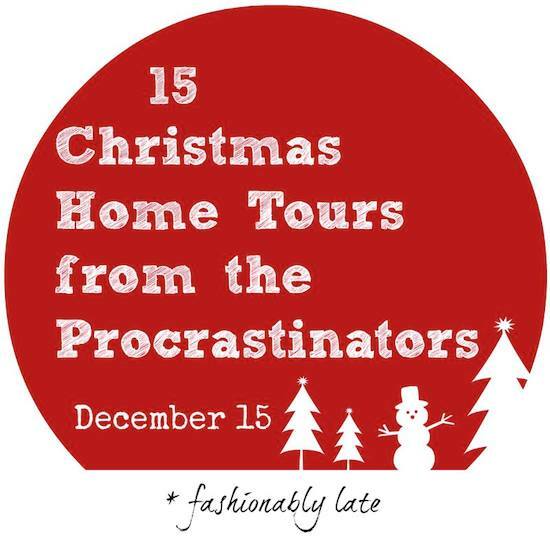 Fortunately, there were 14 other procrastinators when it came to their Home Holiday Tour 2014! Go check them out and tell them I sent ya! Are you a procrastinator too, and maybe need a gift card or two to help fund your decorating? Well, look no further! Thanks to The Online Fabric Store and Farmhouse Decor Shop for each donating a $50 gift card! Good luck and be sure to tell your friends. What do you think? 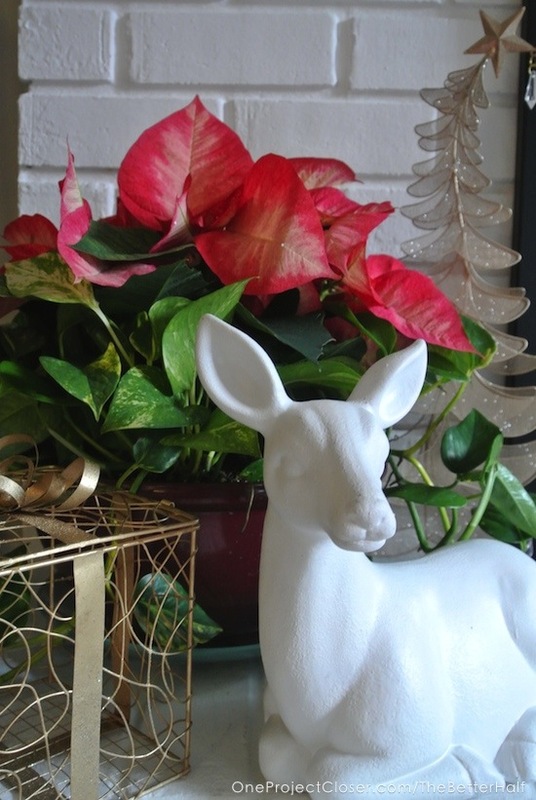 How are you decorating last minute for the Holidays? 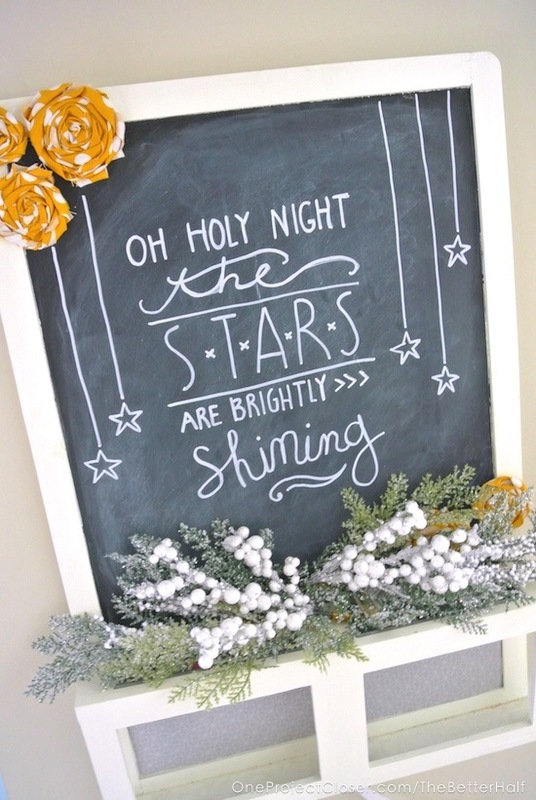 I love your cute nativity set and your chalkboard decorations! 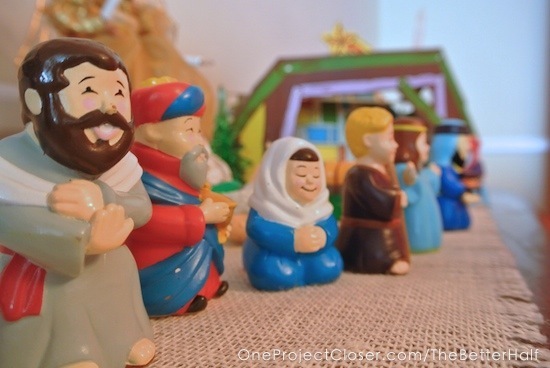 I love how you keep Jesus in the season! 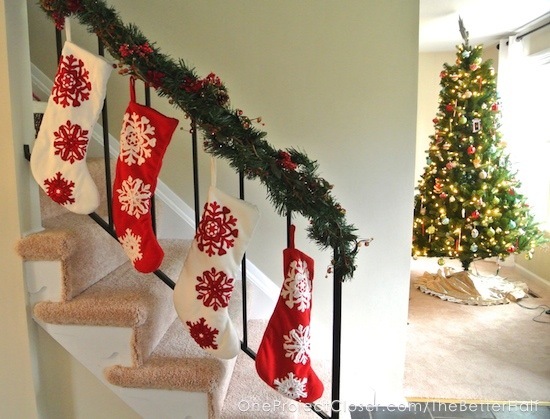 I also love your red and white stockings hanging from your bannister! Merry Christmas! So much fun stuff I don’t know where to start Jocie. 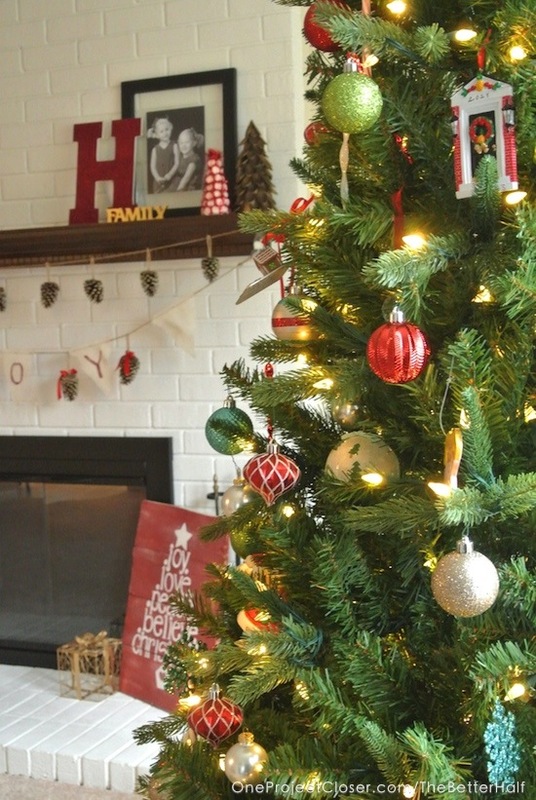 I love the red tree sign, the red H, the red and white stockings….do you see a trend here. I love red. Thanks for sharing your home with us! I really like your color scheme. By focusing on red & white and then the neutrals you already have in your home, it’s beautifully decorated but looks so elegant. Just gorgeous! Your home is so pretty and I love the felt trees for your kids! What a great idea to keep them from playing with the big tree! Love the touches of red throughout. 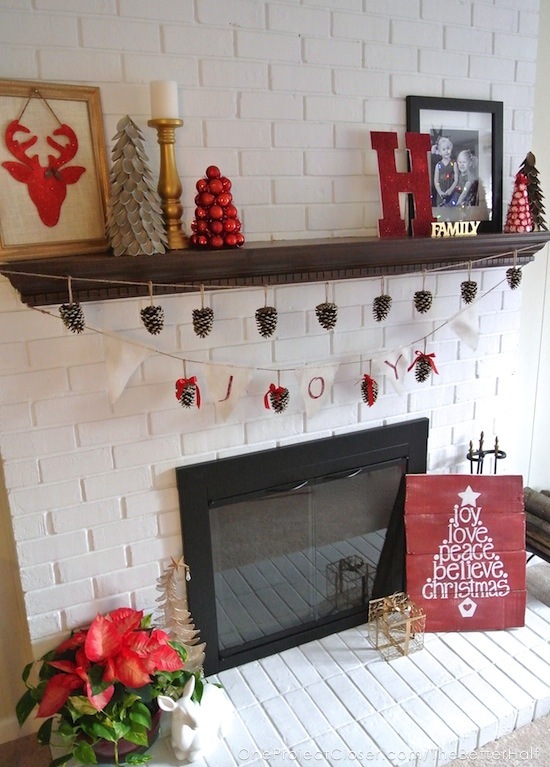 Love your mantel as well! Very nice Christmas decorating. The view of two trees is stunning! What a gorgeous home. Your mantle/fireplace is so pretty! Merry Christmas!! Beautiful and so colorful! I love the chalkboard Ikea hack! 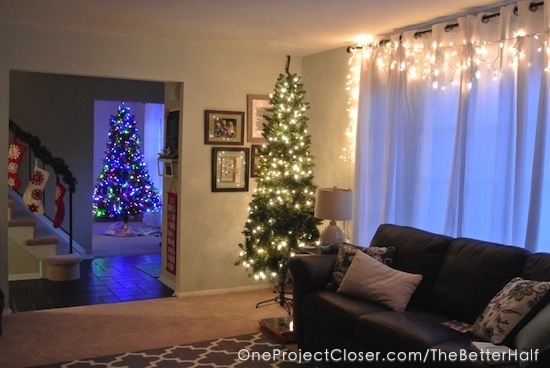 What a delightful Christmas Home Tour! You have so many wonderful details and touches to capture Christmas. I have to admit my favourites are the ones that revolve around the children! So enchanting. I’m loving this Holiday Home Tour. Like to see how others decorate. Gorgeous Jocie! We are so behind on holiday decorating, but at least we got a tree last night! It’s a start! 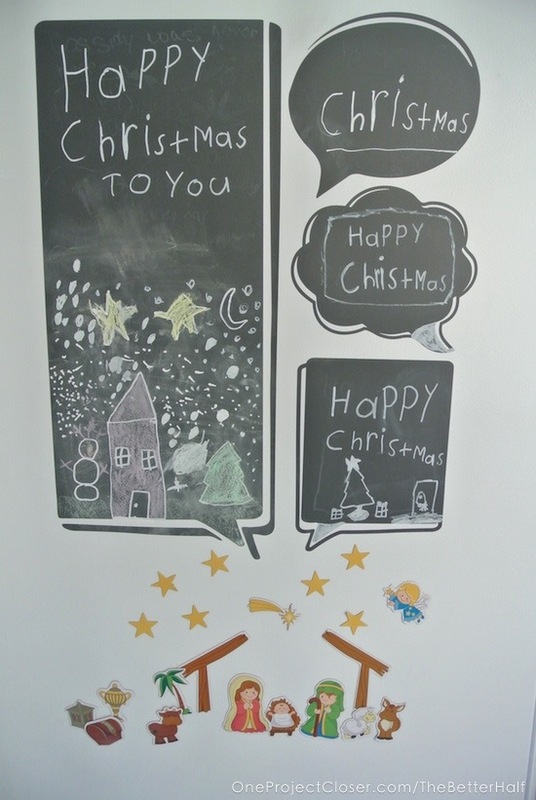 I love the chalkboard in the entryway. Also, the big felt tree for the kids to decorate! Wow. love your red and white decorations, and I don’t even like red decor!!! You knocked it out of the park! You have a beautiful home–thanks for sharing! Merry Christmas! This year I’m not decorating last minute – just trying to finish up some gifts!